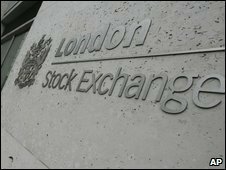 The London Stock Exchange (LSE), the company which runs the London stock market, has announced a deal to take over its loss-making rival Turquoise. The deal will create a new pan-European trading platform. The venture will be 60%-owned by the LSE and 40%-owned by existing Turquoise shareholders, who are global investment banking clients of the LSE. Turquoise was set up in 2008 by a group of nine investment banks to challenge the LSE's dominance. Although loss-making, it gained a 7% share of the market. The LSE said it expected to incur costs of up to £20m as part of the deal. The venture will see Turquoise merge with the LSE's trading facility Baikal Global, and will continue to trade under the Turquoise name. The LSE said Turquoise would be a neutral venue, "open to all market participants active in Europe". "The European marketplace for trading securities has scope to become more efficient and to grow significantly in the coming years," said Xavier Rolet, chief executive of the LSE. "Turquoise's existing pan-European footprint is a strong proposition and together with the introduction of new trading technology and a neutral structure, we believe it is now well positioned to be an agent of change and to capture a healthy slice of the market's growth potential."